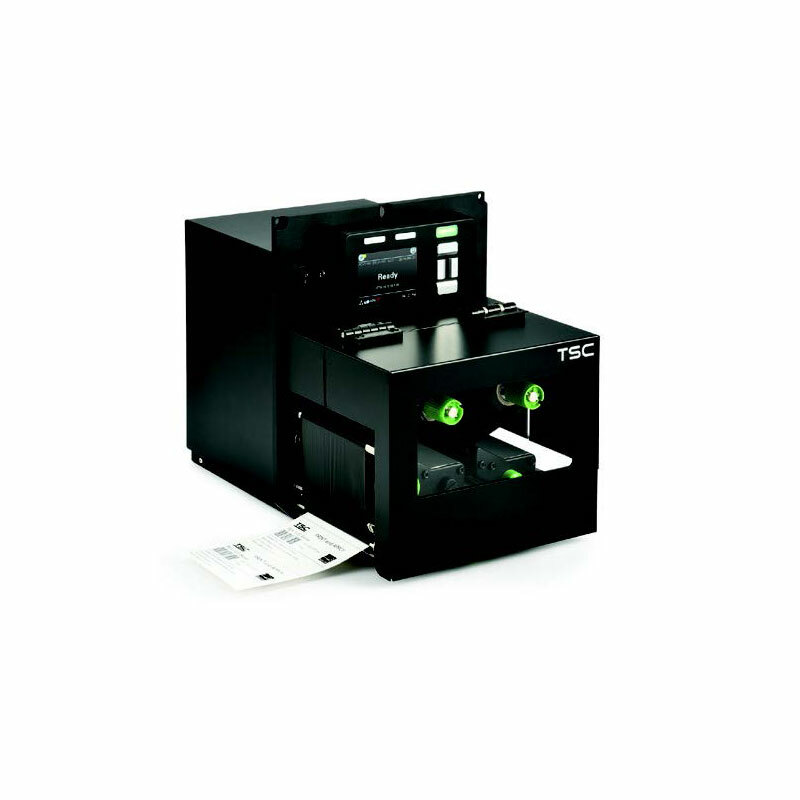 The PEX-1000 series by TSC offers a wide range of label printers for nearly any kind of label. It is especially suitable for manufacturing, warehousing & logistics environments and also for the healthcare sector. Due to the die-cast aluminum housing the printers are very rugged and durable. The PEX-1000 series consists of six powerful label printers which differ in speed (457/356/152 mm/sec) and resolution (203/300/600 dpi). It produces high-quality labels at a high speed of up to 18 inches per second, which is the highest print sped in its class. There is a wide range of label sizes available. All label printers are rugged, due to a die-cast aluminum housing. This makes the printers suitable for manufacturing, warehousing & logistics but also for healthcare areas. Common applications are, for example, pallet labeling and carton shipping. The printers of the TSC PEX-1000 series are perfectly easy to use. They also present an economical solution due to the low maintenance requirements. The 3.5” LCD color display is intuitive to use and comes with a six-button menu. TSC’s PEX-1000 series offers multiple connectivity options, including GPIO, USB, Parallel, Serial, Ethernet, Bluetooth 4.0 and WLAN (802.11. a/b/g/n). It comes with 512 MB Flash Memory, and by means of a microSD card slot, memory can be extended by up to 32 GB. A real time clock and “Thermal Smart Control” are also included.